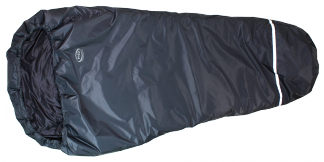 Combined with a suitable insulated jacket, it forms a versatile, light, but still reasonably warm sleeping system. Ideal for fast and light alpine stuff. The logic behind half-bags (Pied d'elephant to oldies) is so sound that the idea is back. If you're wearing a warm jacket already, all you need to spend the night out is something to keep your legs warm and there's no lighter way to do that than to use a half-bag. 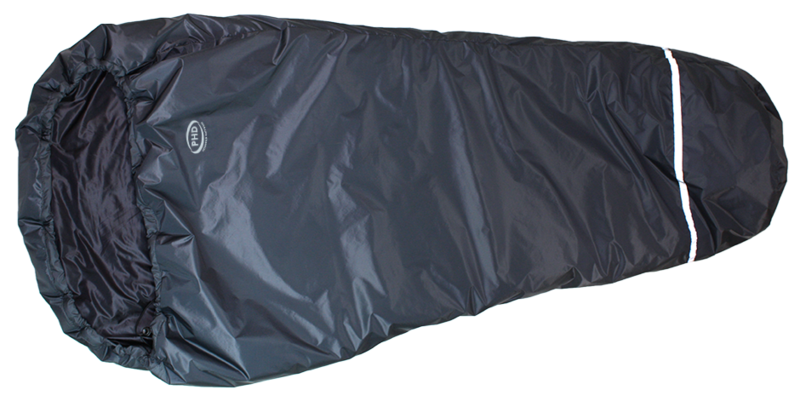 The Zeta half bag is a synthetic version for when the cold also threatens to be wet. In our experience Primaloft Gold synthetic insulation absorbs water much more slowly than other synthetic waddings, a marked advantage in cold, wet conditions. Useful for everything from the Cuillin ridge to a summer Alpine Bivi. For a lightweight trip or carried for backup the half bag is the lightest answer. We have given two separate TOTs (Typical Operating Temperatures) for this half-bag. 'Camp' is for the times people might want to use it for lightweight camping instead of taking a sleeping bag (an appropriate jacket and ground insulation is assumed): this is a standard TOT, meaning you should be able to get a good night's sleep under normal circumstances. 'Bivvy' gives a range of temperatures from the usual doze level down to the point beyond which you're liable to be awake and getting cold. Again an insulated jacket is needed. All these figures assume you are wearing normal clothing inside the half-bag. Any insulated kit like down trousers and down socks will improve the TOT.